There was a report this morning on the Today programme, to which I trust you paid due regard. If you didn’t, you should have. The report, concerning the effect of the current American drought on levels of grain harvests, aired a remarkable and arresting statistic – disturbing too, if you have a conscience. 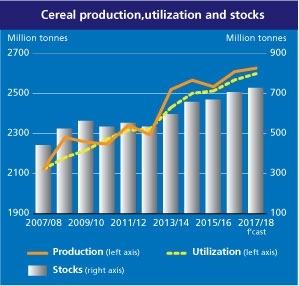 It appears that 40% of the grain production of the Western world’s primary producer has been diverted to the generation of feed stocks for the so-called ‘biofuel’ industry. That this will result in hardship to countless within the developed world can be predicted with a high degree of confidence. That the already dispossessed, impoverished and disenfranchised will be the ones mainly to suffer, even unto starvation and death, is an absolutely foregone conclusion.